Director of research at CNRS and professor ESPCI Paris. 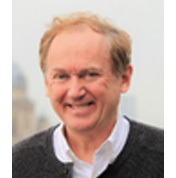 Dr. Patrick Tabeling is Research Director at the CNRS, Professor ESPCI, and director of the Institut Pierre-Gilles de Gennes. Since 2001, he is leader of the group MMN (Microfluidics MEMS and Nanostructures) composed of 20 researchers (permanents, PhDs and Postdoctoral students). He occupied various positions in different laboratories: Visiting researcher in Chicago University (1984-1985), Chargé/Directeur de Recherches CNRS in the Department of Physics in ENS (1985-2001), visiting professor to UCLA, now Directeur de Recherches/Professor at ESPCI. 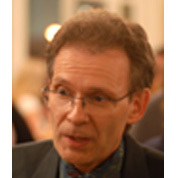 He was professor chargé de cours at the Ecole Polytechnique (1996-2008) He is the author of 200 papers, 11 patents, 80 invited talks in international conferences; he was divisional editor of Physical Review Letters, Associate Editor of PRF. He is member of Academia Europae. He published the book entitled “An introduction to microfluidics” (Oxford University Press – a French version being edited by Belin) in 2005. Since 2011, he is the director of the Institut Pierre-Gilles de Gennes, a new research institution dedicated to microfluidics and its applications. Director of research at CNRS and joint professor at the Ecole Normale Supérieure. 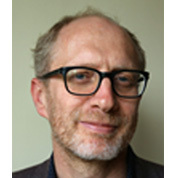 Lydéric Bocquet is director of research at CNRS and joint professor at the Ecole Normale Supérieure. His research interests are mainly curiosity driven and extend to domains at the interface between soft condensed matter, fluid dynamics and nanoscience. He combines theory, experiments and simulations to explore the intimate mechanisms of fluid interfaces from the macroscopic down to the molecular level. His scientific objective is to harvest the unexpected fluid transport behaviors occurring at the nanoscales in order to propose new routes for energy harvesting and desalination. Beyond academically oriented topics, he also has a strong interest in every-day life science. Director of research at CNRS at the Institut Curie . Jean Louis Viovy is Research Director at the CNRS. Since 1999, he leads within the Institut Curie (UMR168) the MMBM team (Macromolecules and Microsystems in Biology and Medicine) comprising about 25 researchers (permanent, Engineers, PhD students and postdocs). He was awarded the Bronze Medal of the CNRS (1983), the Polymer Prize of the French Chemical Society (1996), the Philip Morris Scientific Prize in 1996 (with F. Caron, D. Chatenay and R. Lavery) and two OSEO Entrepreneurship Awards in 2004 and 2005. He is author or co-author of more than 180 articles (factor 42 H) and 20 patents. He has been involved in seven European projects, including 3 as coordinator. He was recently granted with ERC funding (advanced grant) on the topic of development of artificial organs. He is member of the board of the Chemical and Biological Microsystems Society, which organizes the MicroTAS conference, and was chairman of this conference in 2007 in Paris.